Methodological scheme of thermal analysis is used for portraying the Earth environmental research and climate changes, showing particularly the history, effect of atmosphere reflection (albedo), and absorption (so-called greenhouse effect included). The net behavior of the Earth as a black body is reviewed. 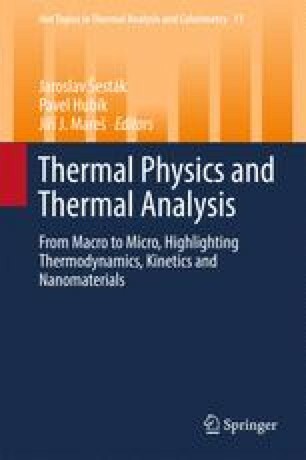 The most influential on climate changes is the alteration of the geometry of the Earth trajectory and the irradiative power of the Sun (as a standard thermoanalytical pair of the sample and radiator). Thermodynamic basis of water vapor impacts is pointed out, the absorption spectra of atmosphere are emphasized, and temperature gradients are indicated. The historical course of the Earth temperature and CO2 concentration is put in analogy with the method of gas desorption analysis, which supports the view that the variation of CO2 concentration recorded in the past may not be alone blamed for temperature changes. The influences of atmosphere nanoparticles on weather, climate, and human health are discussed, as well. With 91 references.